Our Clients Are Classy Dressers! 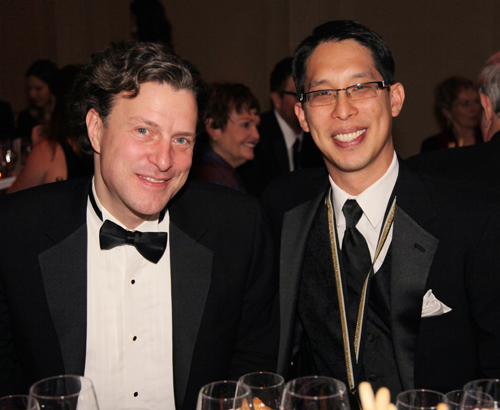 First Second’s Editorial Director, Mark Siegel, with Gene Luen Yang, author of NBA Young People’s Literature finalist titles BOXERS & SAINTS, at the 2013 National Book Awards ceremony in New York last night. Next Post Angoulême Comics Festival Selects Four of Our Authors!